Iran’s execution of Kurdish politicians and activists was protested in Sydney city of Australia. 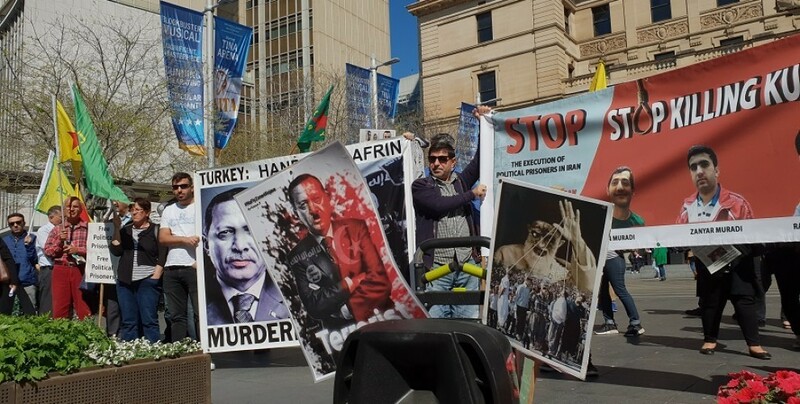 The execution of Kurdish activists Ramin Hossein Panahi, Zanyar Moradi and Luqman Moradi by the Iranian regime was also protested in Sydney, Australia. Speaking on behalf of the Democratic Kurdish Society Congress (DTKM), Brusk Aiveri said it was no coincidence that the Iranian regime has increased its attacks against the Kurds following the tripartite summit held between Iran, Turkey and Russia in Tehran. Averi called on the people of Kurdistan and their friends to show solidarity with the people of East Kurdistan who are resisting the Iranian regime. 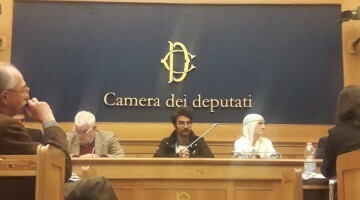 Speaking on behalf of the Rojava Solidarity Commission, Peter Boyle pointed out that enemies of the Kurdish people carried out simultaneous attacks after the Tehran summit. 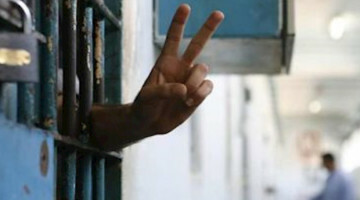 Boyle called on the Australian government and media to not remain silent on what is being done to the Kurdish people. 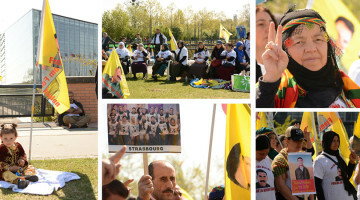 Demonstrators held banners and chanted slogans condemning the executions and attacks of the Iranian regime targeting Kurds.